Joseph Mazzello is an American actor. He is best known for roles such as Tim Murphy in Jurassic Park, Dustin Moskovitz in The Social Network, Eugene Sledge in the HBO miniseries The Pacific and Queen bass player John Deacon in the biopic Bohemian Rhapsody. 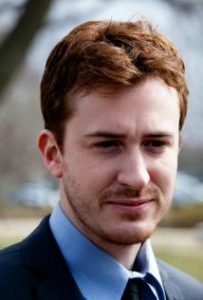 Born Joseph Francis Mazzello III on September 21, 1983 in Rhinebeck, New York, to parents Virginia and Joseph Mazzello, Jr., he was raised in Hyde Park, New York. He is the older brother of John Mazzello, also has an older sister, Mary. Joseph got into acting when he was five years old, and began his professional career in Unspeakable Acts at age 7. He attended Our Lady of Lourdes High School in Poughkeepsie, NY. He also attended film school at USC and got a degree in cinema and television production. *He was born on September 21, 1983 in Rhinebeck, New York, USA. *His parents owned a performing arts school. *He has one younger brother, John, and an older sister, Mary. *He graduated in 2005 from USC with a degree in cinema-television. *His favorite actor is his idol, James Stewart. *His favorite movie is It’s a Wonderful Life (1946).